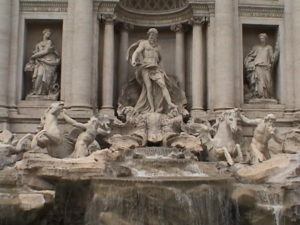 If you want to visit Italy, I would suggest following two itineraries (one below and one travelogue). Even though I traveled to Italy from London, even if you are reaching Italy from another country, the same itinerary is still valid. So even if you see references to London / England, you can still take ideas from this itinerary. Italy is a long country to travel from North to the South. From East to the west it’s relatively shorter. So the idea to cover more places is to ‘fly in’ to a northern airport (Milan / Venice) and ‘fly out’ from a middle/southern one (Rome / Pisa). This would save your time to go back to your ‘fly in’ airport. E.g. If you decide to use Venice to fly in and fly out as well, you would have to travel back from Rome to Venice wasting few hours of time. See travel planning tips for details. Travel from London (or your home country) to Treviso or Venice. What I have seen is if you are traveling by one of the European ‘no frill’ airlines, you often get better deals to travel to Treviso. It’s a beautiful town only half an hour by train from Venice. There are frequent train connections between Treviso and Venice. So its as good as staying in Venice. But if you want to stay in Venice, renting a holiday apartment would be a great choice, as this gives you a lot of independence and freedom. Buy a water bus for the day that’s valid for the islands as well. Take Vaporetto water “bus” at the Santa Lucia train station and head straight to St Marks and Piazza. Piazza San Marco is the heart of Venice. Try to reach there early morning before a boatload of tourists starts arriving. 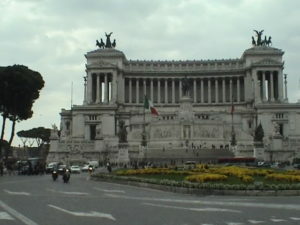 It is a large piazza surrounded by magnificent buildings. It has some very expensive cafes. If don’t want to spend 15+ euros on a coffee, buy a cuppa from one of the cafes in the lanes next to the square. I haven’t seen so many pigeons at one place in my life. It dwarfs Trafalgar square and Las Ramblas main square in Barcelona in the number of pigeons. I couldn’t imagine pigeons sitting on my head and shoulders, but if you fancy that just hold some pigeon food in your hand and you’ll have a good time. It’s a different story that you may embarrass yourself afterward if they pigeons do what I saw one doing on one of the tourist’s head J. But hey, you are a tourist, you are allowed to do silly things once a while. Move on to Doges Palace (Ducal Palace) in the square itself. It first housed Doge Sebastiano Ziani. 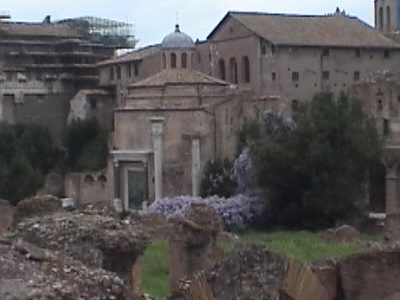 The original castle was destroyed in 976 during an uprising against Doge Pietro IV Candiano. It doesn’t look anything great from outside. However, once inside you can admire the detailed sculptures and layout of the palace. Take the water bus and go to one of the islands – I went to Lido. Enjoy the beach. Travel back from Lido. If you fancy, take a gondola ride. Negotiate the price first. Grand Canal, Churches, Bridges, Museums. Canal Grande, Venice’s Main Street: If you take water bus #1, it stops everywhere. For a quicker tour, take the 82 (express). Venice from the Grand Canal is unique (I wouldn’t say its extraordinary). The beauty of Venice, in my opinion, is in its uniqueness as a city and its history, art, and culture. I wouldn’t like the idea of staying in a house surrounded by water and having to take a boat to work. On your way, visit few Bridges – Rialto which Venice is famous for, Academia’s Bridge. Go to St Mark’s to visit Campanile of San Marco. It was built in the 9th century. Then it served as a watchtower and lighthouse protecting the city from enemy fleets. Its 98.6 meters high and is a good place to see Venice from above. Travel from Venice to Rome on a train in the morning, reach Rome by noon. Visit the Vatican in the late afternoon/evening. 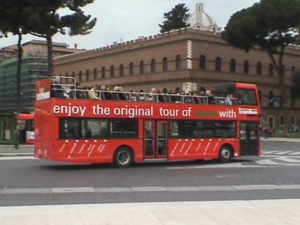 The Vatican is within Rome itself and is well connected by public transport. BEWARE of women with children approaching you for money while her accomplice relives you of your wallet. BEWARE of public transport. DON’T go out alone in the dark lanes. I have heard several stories from fellow tourists. If you search the Internet, I’m sure you’ll find loads more. BEWARE in the crowded bus that goes to the Vatican. There is nothing to be scared off, however you need to be careful in Rome. Use your instincts and common sense. Buy insurance. 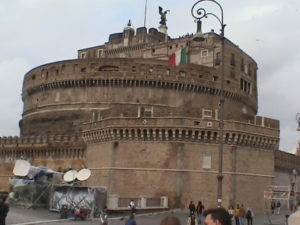 The best way to see Rome is walking and the official hop-on-hop-off bus from just outside the Roma Termini train station. Beware of touts who would try to sell you cheaper private tours. I’m afraid Rome is a doggy place when it comes to frauds. While technically it is possible to see all these in one day, some of these you’ll have to skip from going inside some attractions as queues would eat up a lot of time. So I suggest keeping day 5 as well to cover some of above. If you are not able to see all the places listed above on day 4, see the rest today. If you are traveling with small children, I recommend the official Rome hop-on-hop-off bus over the subway. If you are still left with time, visit one of the museums. Tip: Don’t forget to eat on one of those roadside Pizzerias. They are more authentic than what you can get elsewhere in the world, they are cheap and its fun to sit on the pavement as the world goes by. I would love to visit Italy again only to eat loads of Pizzas and Pasta.